UPDATE 3:45 p.m. -- Hwys. 1, 128, and 175 have now re-opened. For all details see our new article. UPDATE 12:30 p.m. -- Hwy. 1 is now reopened. It had been closed at the Garcia River. 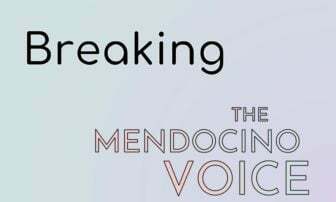 According to PG&E potentially over a thousand customers in Mendocino County remain without power, though in most cases power restoration is expected to occur in the next couple hours. We'll continue to update as more info comes in. UPDATE 10:25 a.m. -- Brooktrails has opened a warming center, at their community center, for people who are still without power. UPDATE 8:45 a.m. -- Hwy. 1 near the Garcia River, mile marker 18, is closed due to flooding. UPDATE 1:15 a.m. -- Hwy. 128 west of Navarro is closed from mile maker 0 to 11, due to the flooding of the Navarro River. 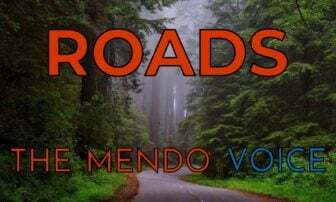 UPDATE 10:00 p.m. — CalTrans has announced that Hwy. 175 is closed at Old River Rd. due to flooding of the Russian River. Old River Road appears to be open. State Route 175 in Hopland is closed at the Russian River due to flooding. No estimated time to reopen at this time. WILLITS, 1/16/19 — The storm has fully arrived here in Mendocino County, bringing with it power outages, flood warnings, a slew of road hazards and collisions, as well as at least one minor electrical fire. Some flooding is also occurring and Old River Rd. near Hopland may soon be closed. About 1000 customers in Willits have been without power at some point tonight, with a few hundred more in Laytonville, in the Fort Bragg area, and in Philo -- outages continue across the county. Because each outage has a unique cause there is no general estimate on when power will be restored. We recommend everyone staying off the roads unless necessary, and taking precautions to make sure you're prepared for an outage. The Sheriff has also urged people to potentially get sandbags, which are avaliable at some fire stations and at the police department in Willits. Information about current road conditions can be found on the CalTrans Quickmap road information page, as well as the California Highway Patrol current incident page. You can report an outage and check for information about current outages at the PG&E outage page. Information about specific storm warnings and weather forecasts for your specific region care provided by the National Weather Service in Eureka. 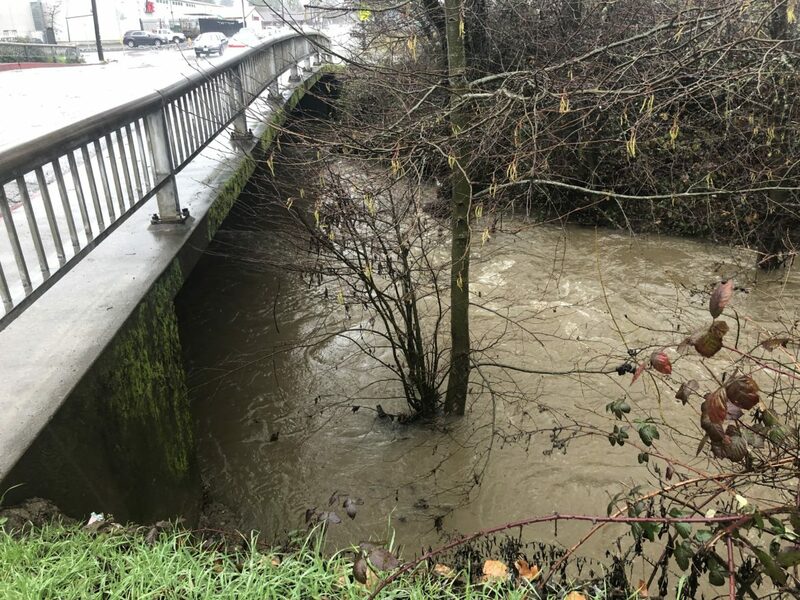 A number of different flood and creek watch have been issued for different parts of Mendocino County until after 9 p.m. tonight, especially for areas near the Navarro and the Russian River. You can see more current information on the NWS Eureka Twitter feed. There is also some flooding being reported by the CHP on Old River Road near mile marker 8 and near the 6800 block of Old River Road. Additional road closures may be expected in those area. You can find information about river flooding levels through the NWS flood level gauges here — as of the time of publication, the Navarro is expected to flood. 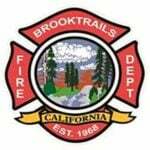 As of 6:30 p.m., there are a number of downed power lines around the county, including in Brooktrails, and near the intersection of Highway 101 and State Route 162, the latter of which has sparked a small fire. There are also numerous trees blocking roads. There are also a number of trees, some of which are described as "larger than power poles," as well as rocks and flooding in the roads. For context, Ukiah CHP incident page, which refreshes every 15 minutes, typically may between zero and a few incidents listed, but currently has so many road incidents that you have to scroll down to see them all — and most main roads in the county have been impacted. PG&E also recommends a number of storm safety tips, including not touching live downed wires, securing outdoor furniture, preparing for an outage by freezing bottles of water to use for drinking or cooling the fridge, having a back-up phone, and using flashlights instead of candles. You can find more tips from them here.